Berlin is known for hedonistic club culture and the city is hailed as a mecca for all things techno, but the heavy pulse of electronic music is far from all it has to offer. A melting pot of food, culture and history, Berlin has something for everyone. So, if thumping techno and wild partying doesn’t appeal to you, here are 15 things you’ll love in Berlin. Museum Island is the unique collection of galleries and museums on a Spree Island in Berlin’s centre, Mitte. A UNESCO World Heritage Site, it a cultural and architectural testament and considered Berlin’s own Acropolis of the arts. The island houses five museums – the Bode-Museum, Altes Museum, Neues Museum, the National Gallery and the Pergamon. Each is a unique window into the past, housing world-famous artworks and artefacts. The Berliner Dom and Brandenburg Gate are also a short walk from the island. Beyond techno, there is a thriving live music scene in Berlin. Ranging from jazz to classical or punk and many styles in between, there is a music experience for everyone. With venues dotted across the city, favourites include Berlin’s oldest jazz club, Quasimodo and SO36, which held concerts from the likes of David Bowie and Iggy Pop. Taking a break for coffee and cake, or kaffee und kuchen, is a beloved social ritual in German culture. It’s common to spend an afternoon in one of Berlin’s cosy cafes playing chess, reading a book and catching up with friends. You can explore the city’s culture scene by neighbourhood, as many locals do, or according to your sweet tooth. Every Sunday the Mauerpark flea market in Prenzlauer Berg fills with Berliners and tourists looking for vintage clothes, other timely trinkets and delicious street food. Visitors can spend an afternoon rummaging through the market for hidden treasures or head over to the adjacent park for some live music. The park is lined with street buskers and local artists who come down to the park every Sunday to serenade passers-by. Meanwhile, at the park’s amphitheatre, brave locals and tourists sing at the cult favourite karaoke sessions, known as Bearpit Karaoke. Germany has one of the most tumultuous histories of the 20th century, and Berlin was at the heart of this. The city is scattered with memorials, museums and tours. 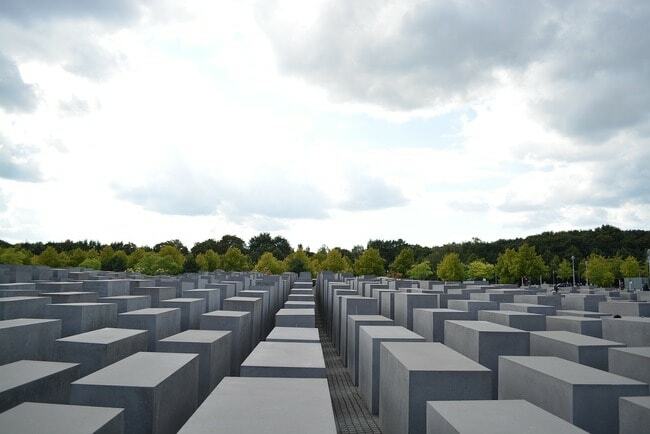 For a deeper look into World War Two, the Topography of Terror and the Memorial to the Murdered Jews of Europe are a short walk from each other and important stops when in Berlin. In Berlin food is the new party, as the innovation of its nightlife culture has shifted to its emerging food scene. Its culinary landscape reflects the city’s international citizens and flair for creativity. There are all-time favourites, like the Döner kebab, and new fusions in the amazing street food markets and affordable cafes. Berlin is home to many quirky and cute art house cinemas. These local gems transport you back in time and let you experience current blockbusters or delve into the indie film scene. With a range of special screenings, Q&A’s with directors and a world-famous film festival, Berlinale, the Berlin film scene is rich, diverse and sometimes pretty saucy. During the summer, the city also has a huge range of open-air cinemas. Berlin’s rich history has left it with a myriad of hauntingly beautiful abandoned places. From an abandoned spy station to architectural throwbacks and a ghostly former amusement park, the city is filled with deserted places with chequered pasts. You don’t have to be an urban explorer to enjoy these alternative sites in Berlin, instead you can follow guided tours through the abandoned sites. The Reichstag is a recognised symbol of democracy and the current home of the German parliament. Both an architectural wonder and historical site, the Reichstag has a large dome on its roof that visitors experience for free. Signing up is required, but once there locals and tourists can enjoy views spanning the city . Berlin is known as a mecca for artists of all kinds, and its small, international comedy scene is a testament to this. Still seen as underground, there is a range of weekly comedy nights around the city, mostly in the trendy neighbourhood, Neukölln. Germans are passionate sauna-goers and Berlin has some luxury, yet affordable spas to meet this demand. Liquidrom is a favourite, where aside from sweating it out in the sauna, visitors can have a truly Berlin experience and listen to underwater techno music as they float in a salt water pool. Steeped in history, Tempelhof Feld is an old West Berlin airport, that was the site of the ‘Berlin Airlift.’ All commercial flights ceased here in 2008 and ever since it’s been a spot for Berliners to come and play. Popular activities include bike riding, skateboarding and kite-boarding. In the summertime there is a communal garden, where visitors can explore and relax, while in the winter it’s the go-to place to play in the snow. The Berlin Wall is an iconic symbol, rich with history. The East Side Gallery is the longest stretch of it that’s still standing. Considered the largest open-air gallery in the world, it is a colourful tribute and symbol of freedom. Visitors can walk along the 1.3 kilometre section on their own, or by following knowledgeable tour guides. Urban Spree is the independent art centre, dedicated to showcasing urban culture through exhibitions, artist residencies and concerts. This grassroots gallery is located among the RAW compound, a thriving offbeat sociocultural centre for creatives. It might seem like a jumble of derelict buildings, but they actually house clubs, bars, an indoor skate park, a swimming pool club and a bunker-turned-rock-climbing-wall. The Berlin Zoological Garden is the oldest and most well-known zoo in Germany. With roughly 1,380 different species and over 19,400 animals, it presents one of the most comprehensive collections in the world. The zoo also collaborates with many universities and helps safeguard several endangered species, as well as participating in numerous species reintroduction programs. It is considered one of the most visited zoos in Europe and is popular the world over.